ND -66 eliminates foul odors and costly and filthy mechanical cleaning of drain and Sewer Lines. Reckoned as one of the involved companies of the industry, we are extremely immersed in providing Sewer And Drain Cleaning Compound. 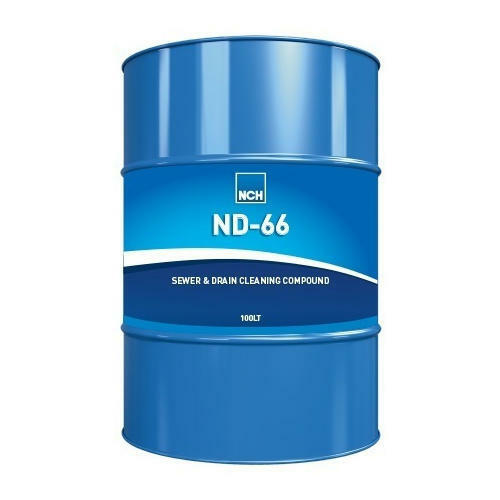 ND - 66 contains a high concentration of active ingredients and metallic chips and generates heat to penetrate and attack waste deposits throughout the drain system. "Chamy Engineering & Lubrications Private Limited" was established in the year 2006. We are a leading distributor and wholesale trader of Heavy Duty Grease, Calcium Sulfonate Grease, Lithium Grease, Gear Oils, Anti- Seize Paste/Compound, Wire Rope Lubricant, Open Gear Lubricant, Multi Service Lubricant and much more. These products are offered by us most affordable rates. Our products are high in demand due to their premium quality, seamless finish, different patterns and affordable prices. Furthermore, we ensure to timely deliver these products to our clients; through this, we have gained a huge client base in the market. We are also exporting our products to different countries worldwide.